Europeans have long used electric assist bikes, better known as e-bikes, as a form of urban transportation. This trend has been slow to take hold in North America but new electric assist systems are making it easier for frame builders to make the transition. 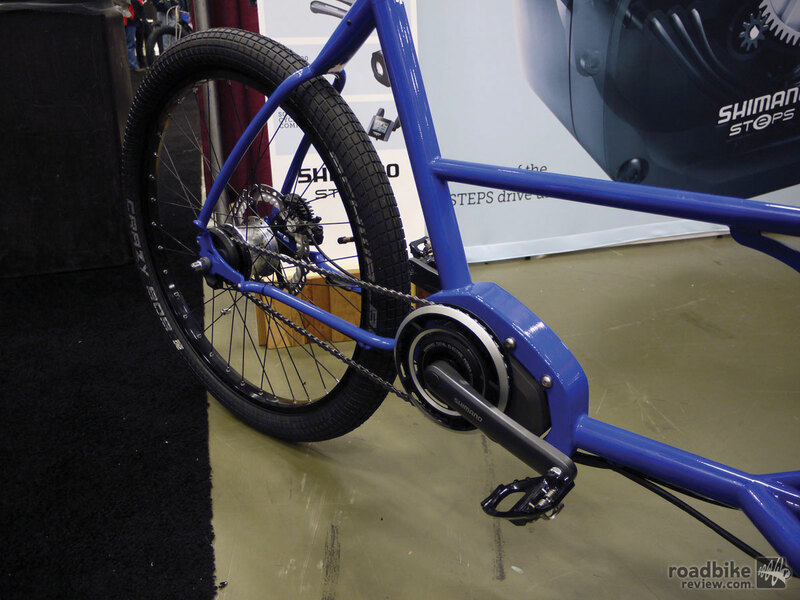 At the North American Handmade Bike Show this year, Shimano teamed up with six frame builders to showcase its new STePS electric component system. The collaboration resulted in some interesting e-bike creations. 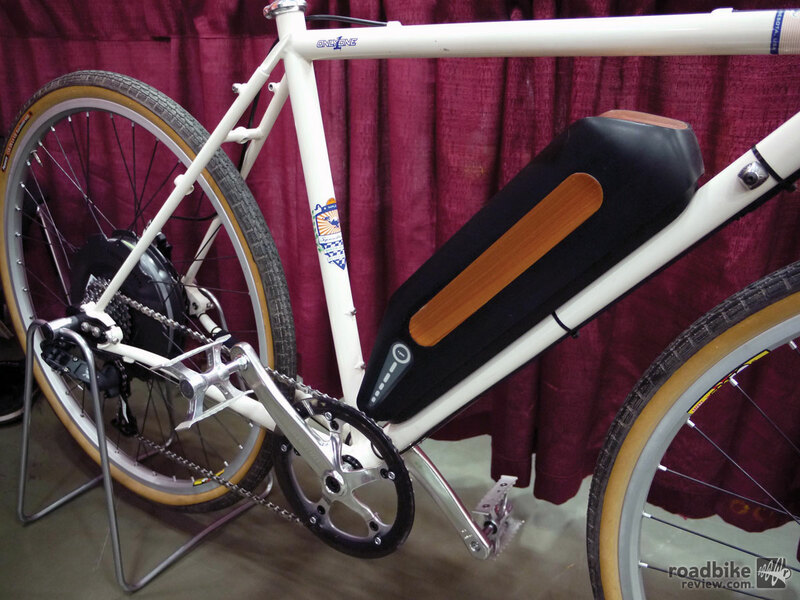 The most creative e-bike construction came from Bilenky Cycle Works out of Philadelphia. 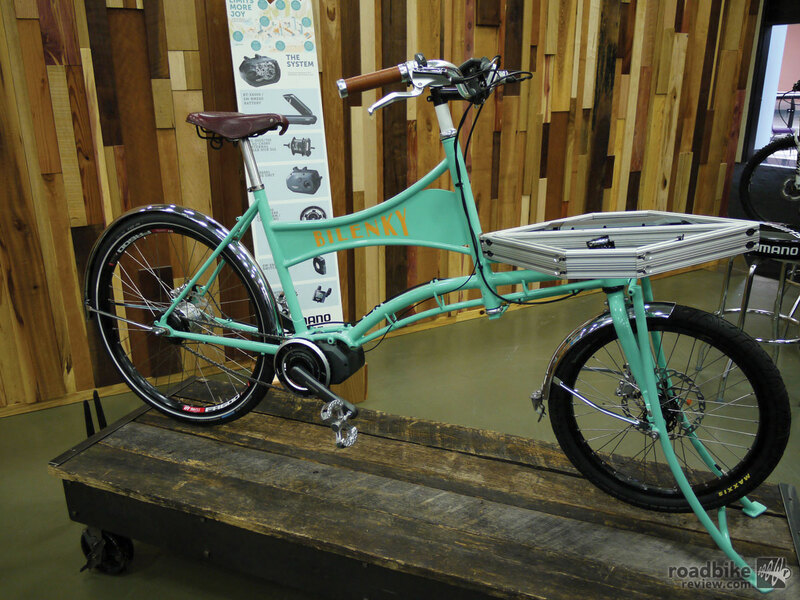 The bike’s sea foam green paint and twisty, curved tubing were attention grabbers. Founder Stephen Bilenky’s creativity and style in and out of the frame-building realm is matched by few others. The first challenge after Bilenky agreed to take on the Shimano STePS challenge was not just designing and building the bike. Bilenky and assistant builder Tom Faust first had to build the actual tooling to build this unusual bike. Frame building jigs typically hold a bike by the bottom bracket; however, the electric assist motor is located at the bottom bracket making it impossible to jig a bike in the normal manner. So Bilenky and Faust created an adapter for their jig specifically for this electric assist motor and were able to build the green machine. 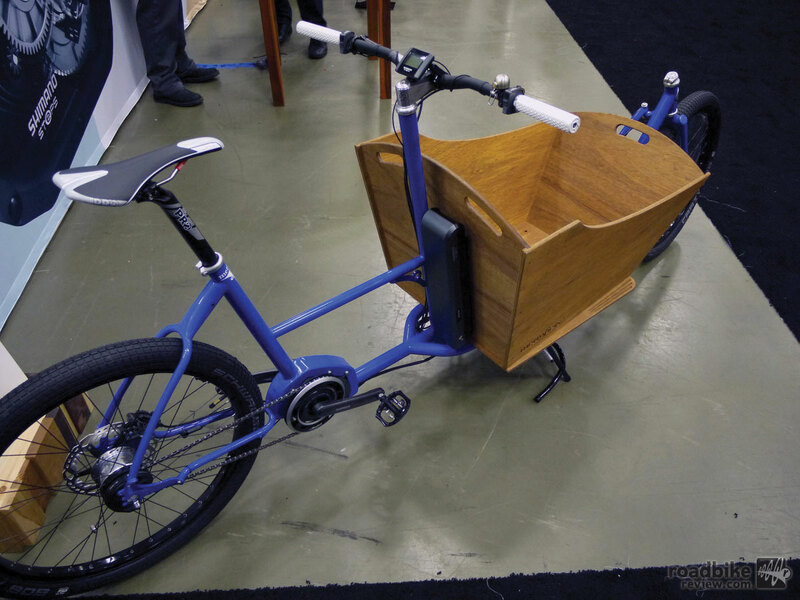 Bilenky’s electric assist cargo bike was built for the company and will be used for transporting materials and for running errands around town. The custom rack not only provides a place to carry materials but it also hides the system’s battery, keeping it nicely tucked out of the way. 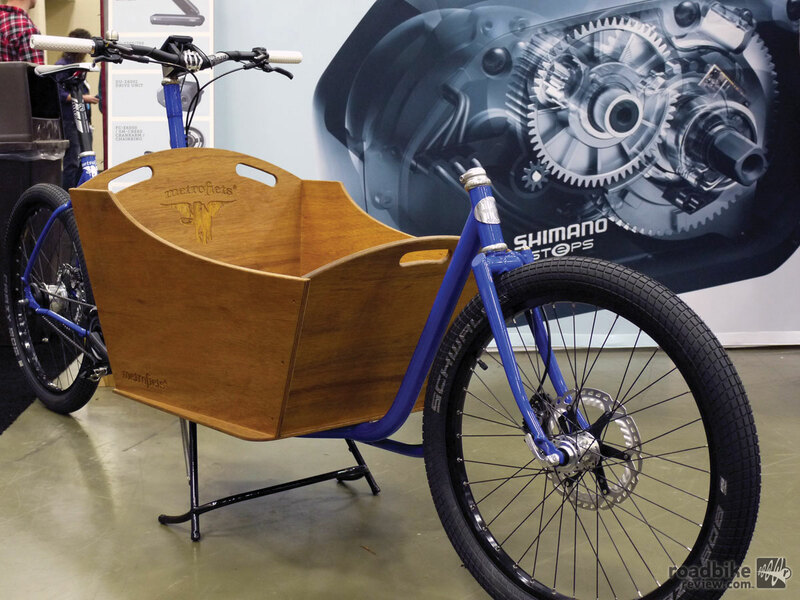 Portland-based cargo bike manufacturer Metrofiets took on Shimano’s e-bike challenge by incorporating the system into one of its current cargo bike models. Metrofiets frames are TIG welded with American-made steel and all manufacturing is done in-house in Portland. 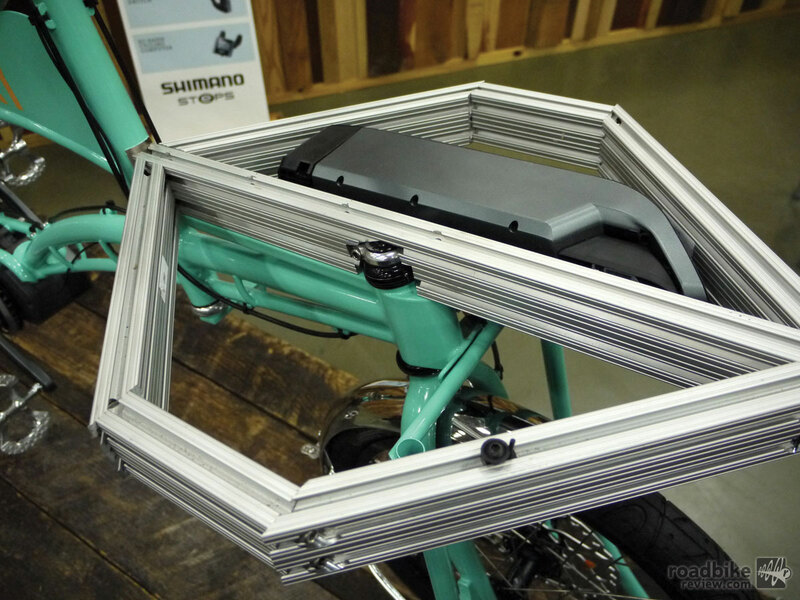 Metrofiets modified their existing cargo bike model with a protective crankcase around the Shimano STePS mid-drive motor. Hiding the bulky electric battery is easier on larger cargo bikes and Metrofiets did a nice job securing it to the backside of the bike’s cargo box. 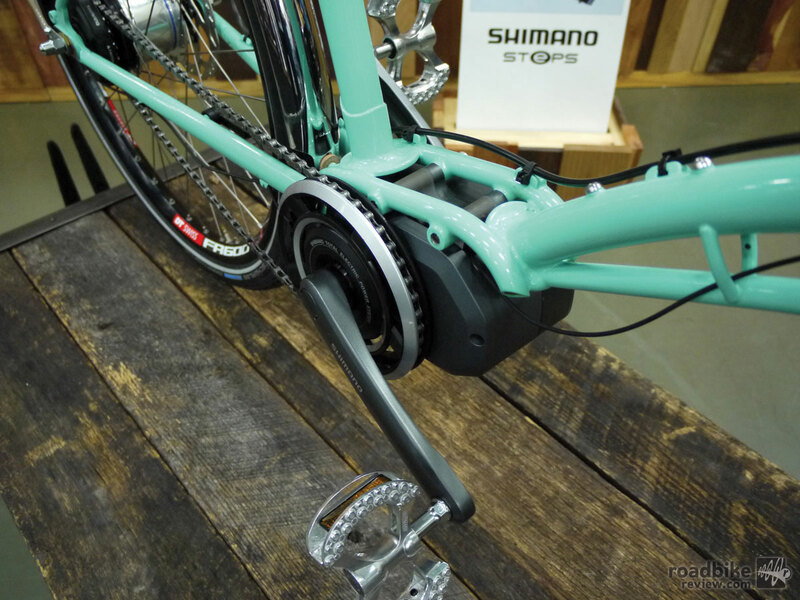 This keeps the battery out of the way of the rider and puts it in a more central location for better bike balance. SyCip’s electric assist “go anywhere bike” was built for daily errand running. While the SyCip is actually a rigid mountain bike, it is not meant for riding on mountain bike trails. With plenty of drama hovering around the e-bike trail use discussion, SyCip made it clear this bike was meant for roads. The fatter tires are just more fun when hopping curbs or taking back roads. The custom crankcase built around Shimano’s mid-drive motor uses the same tubing as the front rank for a perfect match. 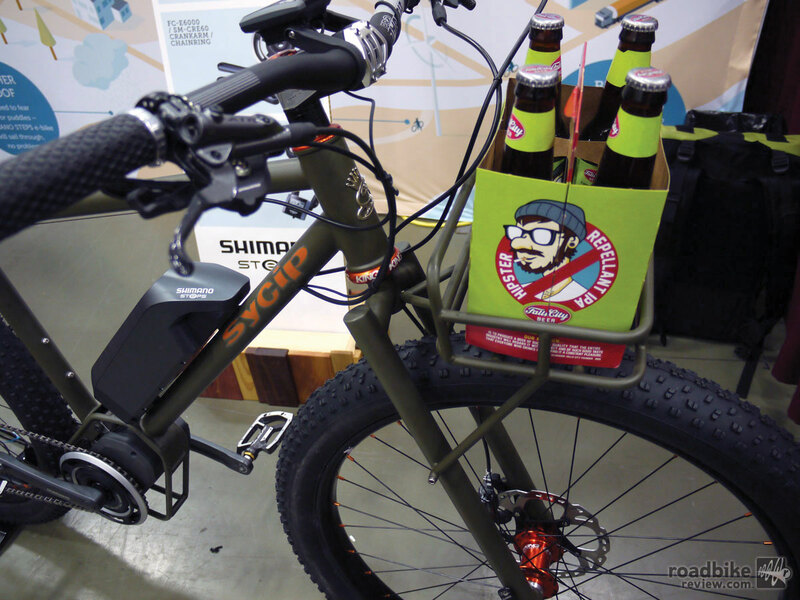 While Shimano STePS was certainly the most prevalent electric assist system at NAHBS this year, several other systems could be found throughout the show as well. 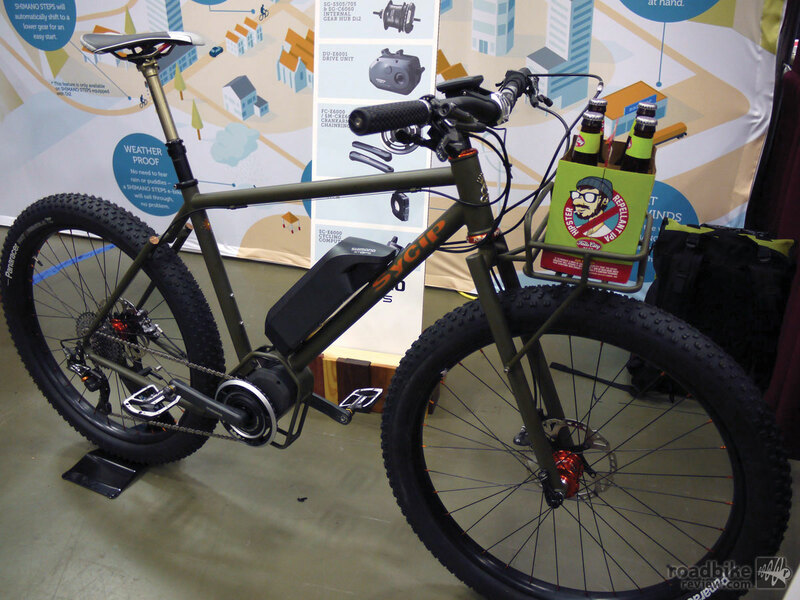 Chris Cleveland of Speedhound Bikes built and displayed his e-bike using a German electric system called Neodrives. Newly distributed in the U.S., Neodrives uses a lithium ion battery to power the pedal assist motor that is located in the rear hub. 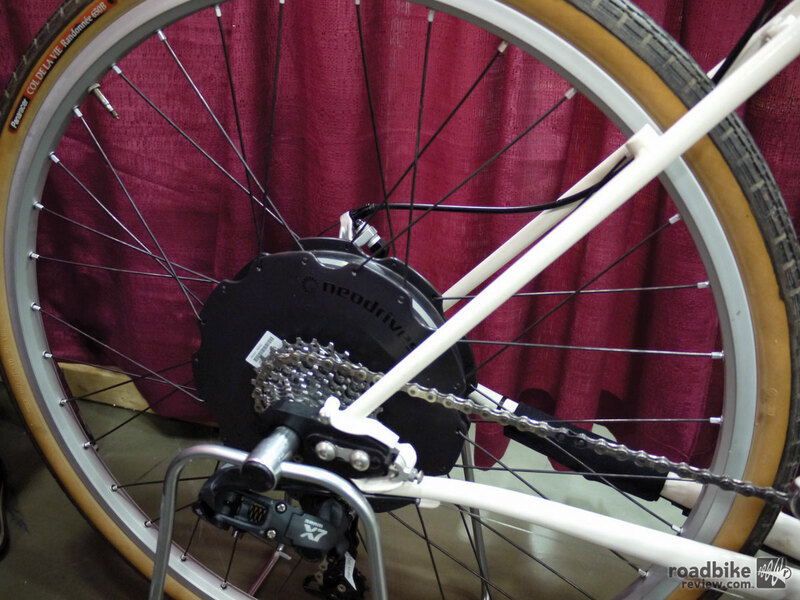 Similar to Bionic Systems electric assist system, Neodrives utilizes a direct drive motor in the rear hub. 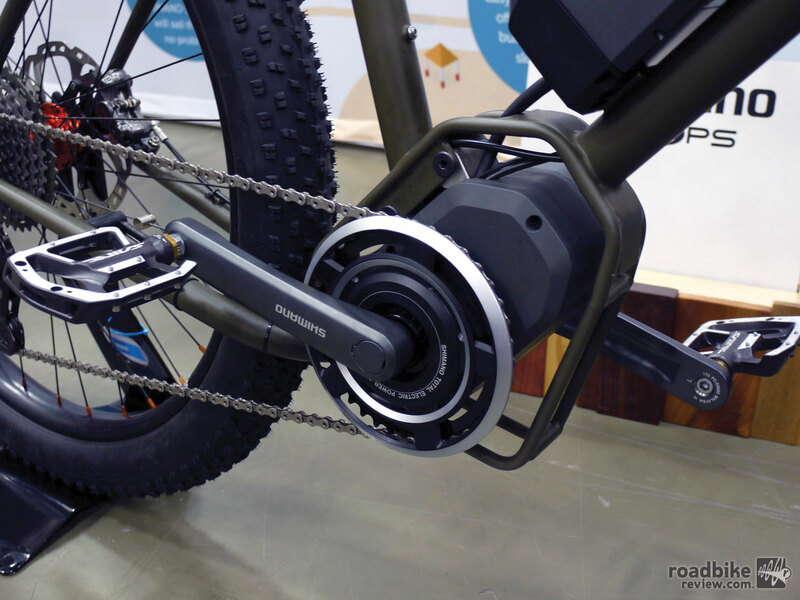 There is a torque sensor built into the hub, which monitors the level of assistance provided for the rider.